I’m a social creature. I’m also a hibernating creature. I’ve been told that a lot of creative people exhibit this duality. Lately, this behavior has experienced glaring extremes, ping-ponging between the blessed in-bed-at-3am-up-at-7am social stretch that was SXSW, and the quiet, detoxifying feel of my blue-walled home. I still haven’t written about any of my experiences from Austin. Every one of them is worthy of the page, they just haven’t gotten there yet. I digest joy slowly. On rare occasion, I experience something beautiful and can process/share it almost instantly, like eating ginger pastries and having them announce themselves later through your pores. What an amazing process, for so many parts of the body to agree; perfuming the skin with evidence of the beautiful things running around underneath it. I’ve often thought about what it’d be like if the mind and heart could also work in this manner. What if I could listen to Dizzy Gillespie on headphones and passerbies could sense all the secrets trumpeting around my brain? Wafting from my ear: the smell of some crushed peanuts from the floor of the Apollo Theater, circa 1939. I could sit silently next to my best friend and somehow transmit all the gratitude too large to find its way into words. Later, I could drench myself so completely in this song that wherever you are as you’re reading this, you’d just know. Tonight, I’m making a numbered, mental list of all the times in the last month I’ve been lucky; each time life has somehow happened more beautifully than it ever needed to. This song is atop the list, because it’s free and it didn’t have to be. Go download it and marvel. Clasp your mind around the words (below) and let them saturate the parts that need saturating. 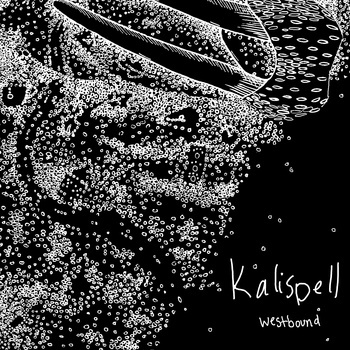 Kalispell is the work of Shane Leonard, with the genius, collaborative support of Ben Lester (AA Bondy, S. Carey) and Kevin Rowe (The Barley Jacks). Shane lives in Eau Claire, WI. He has shared the stage with such favorites as Justin Vernon (Bon Iver), Megafaun and Caroline Smith and the Goodnight Sleeps. His debut full-length album comes out on May 17, 2012. I’ll remind you again later.